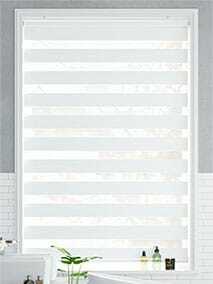 Our collection of Enjoy zebra roller blinds put you in complete control. 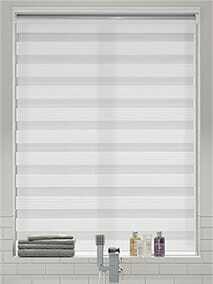 Double-layered, you can... line up the sheer and opaque strips in any way you want to let in as much light as you need. That means you can enjoy the view, enjoy the sun or enjoy your privacy all with one blind. Pick from our Enjoy Dimouts with Blockout backing or our regular Enjoys with lovely light filtering fabric. When it comes to privacy and light, why not enjoy the best of both worlds? Our double roller blinds... are made up of pre-picked combos featuring stylish blockout roller fabrics accompanied by sheer SunScreens. Keep out the light with blockout, enjoy the view with a screen. All using one easy mechanism. One part stylish blockout roller blind, one part practical SunScreen. In one easy mechanism you get... all the privacy and light you require, all day long. We’ve carefully curated the perfect fabric pairings to make your life easier but if you want to switch up your combination, you can do that too! A light filtering fabric to give you all the light without losing privacy, and an opaque fabric to... shade the room and provide amazing thermal efficiency - that doesn't describe two different blinds, it describes one, with this cleverly stylish, dual function collection that's as versatile as they come. 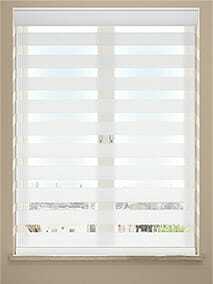 Discover this stylish collection of pleated blinds with as many practical benefits as you can... imagine. 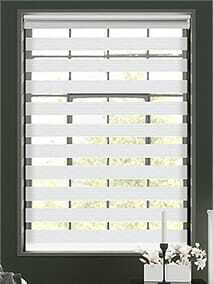 A free hanging system lets you position the blind anywhere in the window for superior, customisable shading. Plus, each blind offers incredible thermal protection and comes in a host of gorgeous colours and tones to enhance your home. Sometimes we have different needs at different times of the day. We might want to let lots of lovely sunlight in during the day while at night we might want to protect our privacy. Our Day & Night blind collection lets you do just that. 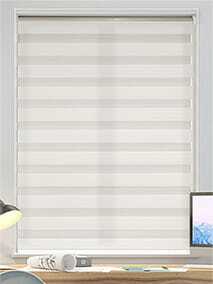 We have a range of blinds to suit every scenario and fulfil every need. 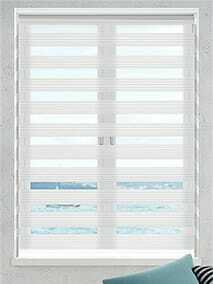 Our Enjoy Vision and Enjoy Dimout blinds are made up of a double layer of fabric and alternating sheer and opaque strips. You can line them up any way you choose to let in light or block it out completely. 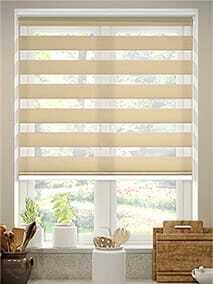 Or you could opt for our double roller blinds. 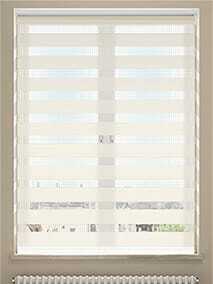 Two blinds, one easy mechanism combines blockout fabrics with SunScreen sheers for tons of choice.